Masterworks from two Masters of the Queen’s Music: Malcolm Williamson’s visionary Symphony for Voices, a celebration of his native Australia, and three more intimate works by Scottish composer Judith Weir, alongside two of Handel’s grandest royal works: his triumphant Dettingen Te Deum and the coronation anthem Zadok the Priest. A constellation of choral gems linking Canada, the US, Ireland, Latvia and Australia, and gathered around Jonathan Dove’s exquisite song cycle The Passing of the Year, a powerful meditation on the inescapable truth of time. Taking on the mantle of musical director of Sydney Chamber is a very exciting prospect for a choral conductor – something akin to be handed the keys to a Rolls-Royce! 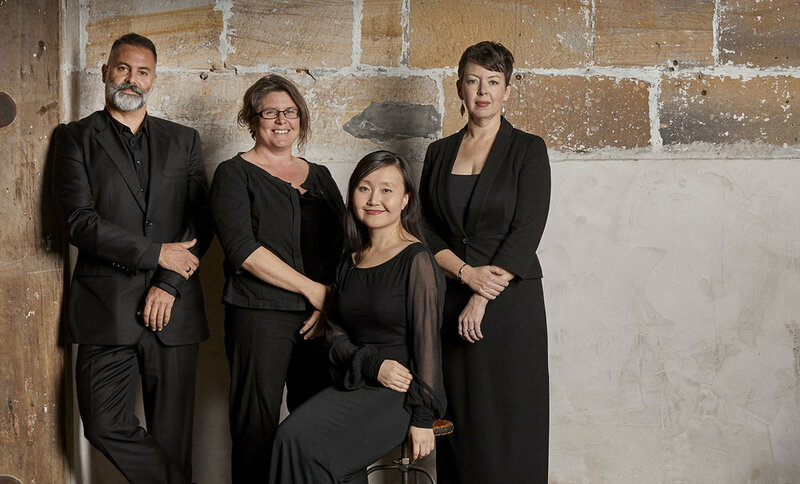 Sydney Chamber Choir’s first programme for 2019, Music on Music (7.30pm, Saturday 30th March) will feature Elliott Gyger’s Ut Queant Laxis. Based on a Medieval chant and texts from the Gospel of Luke, Ut Queant Laxis continues a long tradition of composers writing about music itself. Handel's Dixit Dominus | City Recital Hall, Sydney in May 2016.